Natural History and Wildlife holidays worldwide. With a zoology background and working with the UK's leading Natural History Tour Operator we are pleased to book all of your wildlife holidays - tailor made trips or expert lead escorted tours, from Whale Watching in Alaska and Polar Bears in the Arctic to Tigers and exotic bird life of Asia! Contact us on 01728 748209, use the live chat or send an enquiry. There are plenty of escorted natural history tours to choose from covering birding and botany and special interest species such as whales, bears, big cats or even the 'little things' such as butterflies or dragonflies! If you prefer we can tailor a holiday just for you, either travelling independently or with a private guide, that's not a problem and everything we book is FULLY PROTECTED FROM THE UK. With a zoology background and experience working for natural history holiday operators,we can tailor make the perfect wildlife holiday to suit what you want to see and when you want to see it, anywhere in the world! We are in a unique position as independent travel agents as this gives us the freedom to use many different operators to tailor make your own natural history holiday or search a variety of tour operators to find the best group trip for you. We are members of AITO and as such work with specialist operators for specific wildlife tours. Do you have a particular TV hero that inspires you to travel? For many, myself included it's got to be David Attenborough who has taught us all so much about natural history over decades on our screens. These days the worldwide travels of Simon Reeve, Bruce Parry and others have inspired many to get on those hiking boots and trip off round the planet! There have recently been some amazing photography and insights to animal behaviour in programmes such as BBC's Big Cat Diary, Arctic Live and nearer to home Spring Watch and Autumn Watch. There are many UK and Europe based natural history holidays. Natural History Holidays are often dictated by the weather and animal movements around the globe. You may have only a certain time of year you can travel or the natural phenomenon that you would like to witness only happens once a year, such as the Sardine Run in South Africa the Bat Migration in Zambia or the Monarch butterfly migration in Mexico, so ask us for the best time to travel. Even flowers have their seasons, the carpets of spring flowers in Namaqualand for example, are only at their best for a few weeks after the rains each year and certain rainforest orchids only flower every few years! Throughout Europe, the spring offers plenty of opportunity for walking and botany holidays with spring alpine flowers making destinations such as Switzerland, Austria or Italy or Mediterranean islands popular in May or June. Birdwatching holidays have hot spots all around the world, some favourites include Costa Rica, Gambia and Senegal, the Amazon rainforest or Malaysia, to name a few. Not too far from the UK a destination you may not have considered with fantastic natural history is the Azores. Sitting in the Atlantic, belonging to Portugal, these mountainous islands are a hot spot for whales, diving and flowers. We can also arrange wildlife holidays for families - contact us for specialist family holidays and safaris. Jungles and Rainforests are havens for spectacular, unique and colourful wildlife around the world. Try exotic Costa Rica for fabulous birding and butterflies, the jungles of Asia for tigers and monkeys and the forests of Madagascar for the weird and wonderful world of lemurs! Holidays to the Amazon are a must do for nature lovers but remember it covers a vast area so consider how long it takes you to get there! In Brazil you can take a river cruise deep into the Amazon or fly in. More easily accessible with some really good eco-lodges is the Ecuadorian Amazon and you can even visit the Amazon in Peru or Venezuela. The great apes are one of the most popular wildlife holiday must see choices, with a background including primatology, Jules can advise you on the best places to see your choice of primates, including the Gorillas and Chimpanzees of Africa and the Orang Utan of Malaysia. Other destinations that are great for primates include the rainforests of South America and lemurs in Madagascar. A favourite wildlife holiday has to be the African Safari. This is Jules' specialist area with years of experience working in Africa, so there is a whole section of this website dedicated to safaris and the huge variety of natural history holidays to be enjoyed there. Following the great migration around the Masai Mara and Serengeti, sitting round the camp fire with a G&T listening to the noises of the African night ... there's nothing like it in the world! Take a look at the African Safari pages for details. Penguins and other Antarctic wildlife have very short breeding seasons and the spectacle of hundreds of thousands of penguins in a breeding colony must surely be right up there on the wish list of any wildlife enthusiast! The islands of the Falklands and South Georgia are best visited at certain times of the year, so let us find the perfect Antarctic cruise itinerary for you to get the best out of your journey to these remote locations. The polar regions are really the ultimate challenge for a natural history holiday, with a huge variety of wildlife holidays available here including watching polar bears, walruses and fabulous sea bird colonies around the Arctic regions. Two great places to see Polar Bears include Churchill in Canada and Spitsbergen in Norway. Take a look at The Natural World section of this website for inspiration on the different eco-systems of our planet and through the holidays section for detail about particular wildlife encounters such as gorilla trekking or whale watching. There are specialist Natural History operators in many different countries and we make sure you are matched with the best group, operator or guide to fit with your requirements. If you are particularly interested in wildlife photography then we have contacts for holidays with specialist photography guides, such as this wonderful safari in Zambia. Experience one of the world's most iconic luxury rail journeys in Canada through the Rocky Mountains as featured on TV with Michael Portillo! Jawai is a stunning luxury tented camp in the heart of rural Rajasthan. A celebration of culture and amazing geological features, a stay here is a trip of a lifetime! Join renowned photographer Paul Joynson-Hicks in Big Cat Diary country on an exclusive 6-night safari 27 April 2019 only 6 places available! Join Alex Walker's Serian team with professional safari photographers on these limited availability workshops during the migration! Contact us for expert advice on where to stay and when to go on your African safari to Serengeti & Ngorongoro Crater in Tanzania. Cruise round Resurrection Bay and the Alaska Maritime National Wildlife Refuge. 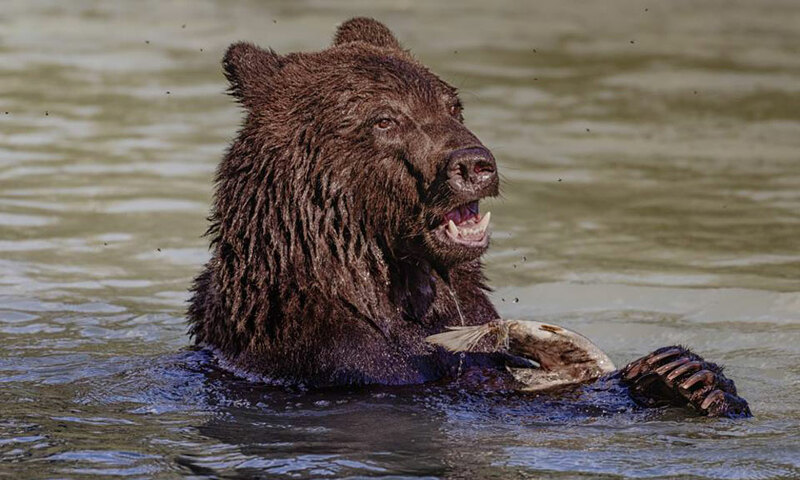 This is an active adventure tour to Alaska involving float plane flights, bear viewing, wildlife cruises and wilderness. Exclusive photographic charter with our adventure tour partners to South Georgia and Antarctica accompanied by Paul Goldstein and Chris Packham. Newly opened in June 2018 Shipwreck Lodge is one of the most dramatic lodges in Africa! Combine with Hoanib Valley Camp for a superb holiday to Namibia! Al Maha is a world class luxury Bedouin Camp within the Dubai Desert Conservation Reserve. Experience your own 'Arabian Nights'! Visit Caiman Eco Lodges in the heart of Brazil's Pantanal to view Jaguar's in a unique setting alongside other endangered wildlife. Featured on BBC's Natural World. Visit Elephant Watch Camp and Save the Elephants in Samburu, home of 'This Wild Life' BBC programme and the Douglas-Hamilton Family. Luxury eco-camp safari. Introductory 10 night tour to Papua New Guinea. Visit remote villages with unique cultures and beliefs, where the way of life has remained relatively unchanged for thousands of years. Be at one with nature on this week's yoga retreat at Campi Ya Kanzi in the heart of Hemmingway's "green hills of Africa"! China Tours including Panda Keeper for a Day! Escorted tours & cruises in China to see Terracotta Warriors, Great Wall of China, Yangtze River and spend a day with the Giant Pandas! Iconic members of the animal kingdom, Gorillas are a must see bucket list experience for all wildlife lovers! Photographic tours, expeditions cruises to Antarctica, diving in the Galapagos or a self drive holiday in South Africa, there are many ways to get up close to penguins! Bush meets beach in this gorgeous location on the Indian Ocean. Conservation safaris, beach bandas, friendly service. One of the benefits of having a travel agent is, that when the hotel you’re booked into in the Atacama Desert (one of the driest places on the planet) is flooded and the guests have been evacuated, another hotel is arranged before you know that there is a problem! Away from electronic devices & noise noise - apart from Baboons and cicadas- we passed very relaxing days and long restful nights! On New Year's Eve we all ended up dancing round a huge log fire at midnight, toasting the new year with Prosecco! We had a fabulous holiday to Western Canada, thank you for organising everything. Highlights included bear watching at Knight Inlet, Whale Watching from Tofino, the Rocky Mountaineer and Victoria on Vancouver Island. Flawless service from start to finish! Helpful and knowledgeable going the extra mile to fit our special date in. Travel With Jules were very polite and patient too! Highlights staying at a luxury at Gaya Island resort - staying on a tropical island for your 30th isn't bad at all! I gave Jules the sort of holiday we wanted and what we hoped to see. I chose the Exodus option of Whale watching in The Azores and I felt very well looked after by Jules. Whales, whales, whales! We saw Blue whales, Fin whales and Sperm whales all as close as is comfortable for the whales. We also saw a pod of Common dolphins who became bow runners with the catamaran! Highlights included having sun-downers, wherever we were at sunset was great fun - the guides had packed our favourite drinks plus ice and lemon slices in a cool box! Seeing 100's of Hippos sitting all day in the river, playing their "trombones" then getting out at sunset for munchies. Thank you for organising yet another amazing holiday - we had the best time ever. I genuinely do not have the words to describe how amazing the gorilla trekking experience was! Our private visit to the Elephant Orphanage was out of this world - I attach a photo of me being eaten by a baby elephant - possibly the happiest moment of my life so far! Highlights included seeing a Leopard resting in a tree – that has to be pretty special! 4 young Cheetah is also up there as a highlight too. One other highlight is that we did not have to worry about the small details of our travel arrangements. We were confident that all had been arranged with attention to detail – and it had! A very memorably 'once in a life-time' holiday. Thank you Jules for creating another exceptional holiday and our second to Zambia. Your friendly and professional approach assured a wonderful holiday. Both our lodge at Luangwa River Camp and tent at Tena Tena were spacious, comfortable and sparkling clean. The school and village visits were unforgettable experiences. From the beginning the professionalism and communication from Travel With Jules was brilliant and I couldn't have asked for more. I really believe I'll never go through another travel agent again. It was the most amazing holiday, seeing magnificent animals, I had a tear when I saw the blue whale! You arranged an amazing trip, thank you so much. Thank you again for another wonderful holiday! Everything was very well organised and we cannot fault the attention to detail from the time we were greeted at Heathrow until our return. The Experts and Azorean Guides were excellent as was the accommodation and food on the ship. We visited all 9 islands which is rare as often the weather prevents one visiting Corvo due to bad weather and need to land using 10 person Zodiacs. We saw 7 whales and 3 species of dolphins! I booked my trip in the UK through 'Travel With Jules' to avoid having to send large sums of money to a foreign bank account. Using a UK agent obviously adds to the cost, but I considered it well worth it for financial security, and certainty that there would actually be someone waiting for me when I stepped off the plane. I visited Lobeke National Park and Sangha Lodge in Dzanga Sanga National Park. Amazing sightings of forest wildlife including elephants, lowland Gorillas, sitatunga, Mangabeys, forest hogs and stunning bird life. Thank you so much for your hard work putting together our fabulous three generation family safari to Northern Tanzania. We loved everything and the highlight was our private Serengeti Camp. We all had an AMAZING time at our private camp in the Serengeti. Our hosts at the camp were all fantastic. We saw an incredible amount of wildlife and the migration was something else, we were surrounded 360 degrees by wildebeest! The holiday was just incredible and couldn't have been any better in our wildest dreams. Thank you for all your assistance and your genius in putting this itinerary together for us to perfectly match what we wanted. Giraffe Manor was exceptional and even now feels like we were in a dream. It was great to know that every step of our holiday was taken care of including visiting our fostered elephant and meeting the last male Northern White Rhino on the planet. I felt like the King of Scotland again! Another amazing holiday to Africa .. thoroughly enjoyed everything in Zimbabwe and already want to go back again! In Mana Pools I got up very close on walking safaris to a pack of wild dogs and saw "Boswell" the 50 year old elephant who stands on his back legs to feed! Thank you for all your hard work in putting together our tailor made holiday to Tanzania. Accommodation throughout was at least very good, sometimes really excellent. The Old Boma hotel where the service was super - one of the nicest hotels we have stayed in anywhere in the world Hassan our safari guide was first class and very helpful. The Bush Rover camping was fun ... for one night! The holiday was AMAZING, Gambia is such a great destination, thank you for recommending we visit and putting together a wonderful varied experience for us, we loved it all! Fathala Wildlife Reserve in Senegal was incredible, the ferry transfers were great fun and an insight to local life and we were well looked after on both journeys. The Mandina Lodges were stunning and the floating lodge was lovely. What can I say? You did it again! From the night I arrived, being welcomed back to Hemingways in Nairobi (I felt like the King of Scotland again! ), to the day I left everything was a complete delight. Elephant Watch Camp is lovely, the staff there are superb. They know all the elephants by name and there were around 9 families in the area, Saba had arranged a surprise sleep out for me with the warriors! I had some amazing leopard sightings around Samburu too ... all in all very sad to leave there. Jean and I are fairly familiar with safari travel and Zambia would be the first place that I would recommend to any newcomers. The help of the Africa Tours reception on arrival in Lusaka which you arranged for us is a bonus. One of the wildlife highlights was seeing a pack of wild dogs on their kill. in summary, Jules, you were excellent again. The trip up the Kinabantagan River was possibly not as exciting as I had hoped, but I saw what I have always wanted to see (actually the Proboscis monkeys rather than the Orang Utans) in the wild, the guides very knowledgeable and the Malayan people absolutely delightful. You worked really hard to meet budget and needs of our group changing itinerary to accommodate our birding safari in Tanzania. The large game viewing was brilliant with hundreds of elephants and several good sightings of lions and we even had cheetahs. Everything was really terrific, I think we enjoyed India even more this year than last time and Jawai Leopard Camp was simply wonderful! Thank you to you, Nikhil and his team so much for another fabulous holiday to India! Romania was a lovely place and the people so friendly. The highlight was seeing the wild brown bears, such beautiful animals. Dracula's castle was just as impressive as in pictures! I think we must have got caught in a time warp as the time seemed to stretch away into the distance. Thank you so much for suggesting Zambia and Malawi to us in the first place and organising everything, including the unique wedding ceremony in South Luangwa! Thank you SO much for everything you have done to make our holiday so special. If ever you have clients in the future who are considering a visit to the Kafue, please have no hesitation in using us as a testimonial as there could be no where better for an African safari. Jimmy was a fantastic guide, thank you Jules for getting him on the trip with us. Virunga lodge was a little paradise on earth with beautiful sunsets and sunrises, great food, lovely people that wanted to do anything for us, just amazing. We saw the gorillas on all 3 days - incredible! What can I say ... you did it again! I loved every minute of my Kenya adventure. The Born Free Foundation anniversary safari was superb. We spent loads of time with Virginia McKenna whilst at Elsa's Kopje, she was full of 'hidden facts' about the lives of the Adamsons and I really enjoyed her company. Amboseli was fabulous. In Nairobi I enjoyed my visit to Daphne Sheldrick's Elephant Orphans and seeing my adopted baby later in the afternoon. So thank you again for your superb organisation and personalised 'conservation' based safari, I'm retiring soon so look out I will be travelling even more! The safari experience was priceless for my son Alex, who learnt so much and had a genuine holiday of a lifetime. Thank you very much for helping us choose and putting together such a superb holiday. We absolutely loved Malawi and the whole itinerary was perfect! You were very efficient in sorting it all out, we could not fault a thing. Mountain biking, hiking, boat safaris and Lake Malawi - all very different and all great fun! 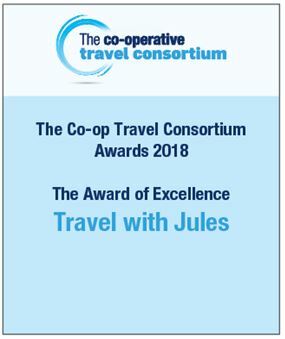 For the last three years we have been using Jules to arrange our annual winter long haul holidays and have enjoyed travelling with someone else doing the organising in the full knowledge that should a problem occur we have a reliable point of contact who ensures that our enjoyment of the holiday isn't in any way spoiled. I would thoroughly recommend using 'Travel with Jules' to anyone contemplating wishing to travel on a wildlife & sightseeing adventure! Thanks for organising our tailor made honeymoon to Ethiopia – the trip was great, we really enjoyed ourselves and found the Ethiopian people a real pleasure to spend time with. It was great to have your help, advice and guidance on where to go on our travels for our Honeymoon in Thailand. La Flora was beautiful and Khao Sok National Park and the elephants amazing! We were sad to leave but had so many great memories, thank you again for all your help to make this happen. A huge thank you for organising and booking our holiday to Zambia and Malawi, Norman Carr Safaris, what can we say, WOW what a great company. For the first two nights we were up graded to their 'flag ship' new camp at Chinzombo! We left with very fond memories and we really do have Africa in our hearts now. We really did 'live our dream' so thank you for making it happen. Wow, we had an amazing time in Canada! We mushed huskies and ski-dooed over frozen lakes in stunning blue skies and sunshine and saw the Northern Lights in the Yukon three nights in a row! We really did have an amazing time in Kenya - I really appreciate your work in organising everything for us, it was fantastic!! The effort to make my birthday special was lovely. We feel we have seen animals in the wild that are not overly harassed and negatively impacted by human activity, this is very important to us. Our packed holiday included fly-camping and bucket showers, walking with Samburu warriors and camels, brilliant safari experts and ‘real’ local knowledge, masses of fun on the jeep in the Masai Mara, wonderful food, stunning scenery and wildlife, white sandy beaches and lovely warm seas..... You got it just right for us. You will have to go some to better this next time – that is your challenge! Thank you so much for organising our amazing holiday and recommending South Luangwa in Zamibia. We have had a great time. Lodges, camps, hotels and all the transfers and pick ups were brilliant throughout Zambia, Victoria Falls and Cape Town. We loved every minute of the holiday, including the lions grumbling outside our tent at night in Kakuli Camp! I can thoroughly recommend Blackheath Lodge in Sea Point, Cape Town. The Jazz brunch at Winchester Mansions was very relaxed and fun. Lovely people, lovely food …. fascinating culture, the elephants rocked! Thanks for everything you did this time round Jules. We have been so fortunate to visit amazing places in the past – but this (and the consensus of all) was the holiday to top all holidays. Thank you for all your help through the planning and booking over the last year or so for our honeymoon to Kenya & Mozambique. It was a truly magical experience and one we will never forget. Thanks for all your help in creating some fantastic memories for us! Lake Nakuru was stunning. After a boat trip on Lake Naivasha we had a lovely afternoon and evening at Loldia house - weird sitting reading whilst buffalo and hippo are so close! Karen Blixen Camp was a real safari experience. We loved it here the most and were well looked after. Governors hot air balloon ride over the Mara - AMAZING!! Thank you so much for all your hard work ! Our entire honeymoon to Malawi and Zambia was flawlessly planned from start to finish. The advice we received prior to booking was knowledgeable and invaluable upon arrival. Julie was generous and patient with her time and answered all our questions and concerns, regularly in communication out of office hours. We literally had the trip of a lifetime with so many 'firsts' in terms of experiences. The safari in South Luangwa was amazing, the village experience at Ntchisi Forest Lodge was a bit of a culture shock, but glad we went and Kaya Mawa was truly out of this world, we were looked after incredibly by the management team, the food was superb and we had our own little pool! Julie organised our holiday to Zambia which more than met our requirements - the accommodation was excellent (we stayed with Norman Carr Safaris in South Luangwa, Mayukuyuku in Kafue and Waterberry at Livingstone), our guides for safari and birdwatching were the best available and all travel arrangements went smoothly. Julie's attention to detail and knowledge of Zambia meant that our individual wishes were met throughout our holiday. Thank you very much! I work hard to be able to afford great holidays. I know that you Jules work very hard to make sure that I enjoy my holidays. I love the fact that you can take my fledgling dream for a trip, and transform it into real life; that you listen to what I would like to do, and adjust the finer details to fit my dream, never suggesting that my dream be squeezed into a pre-formed package. Julie's knowledge of wildlife tourism to Africa is nothing short of excellent, she always comes up with some gems of ideas that you would never think of or find for yourself! We are so grateful for all of Julie's advice having just come back from an absolutely fantastic holiday to Kenya. She went to huge lengths to provide us with different options that fitted our budget and wish list, and answered our endless questions with patience and enthusiasm. We have already recommended Julie to some of our friends and will carry on recommending her to lots more. We had a wonderful time in Peru - thank you for organising this, the people were lovely and I particularly enjoyed the train travel. The Amazon lodge was amazing and we did all the tours day and night! We have just returned from a fantastic time in Malawi and Zambia – our first venture into Africa. Nothing was too much trouble and Julie always found the time to talk to us, answer our many questions and clarify every detail. We would not hesitate in recommending Travel with Jules to anyone who wanted first class, worry free, personal travel services. As a result of her extensive knowledge of Africa Julie fully understood my requirements and delivered a holiday which my son will never forget in Zambia. We could not fault the travel arrangements and were made to feel welcome where ever we went by all representatives and the staff of the camps we stayed at in South Luangwa and through their extensive knowledge of the local wildlife we truly experienced the magic of Africa. Thank you to Julie for making the arrangements for our holiday to Malaysia and saving me a lot of trips and telephone calls to a high street travel agent. The service you provided was first class and we will recommend you to anyone we know who may be thinking of booking a holiday. Julie's knowledge and passion for Zambia was amazing, her knowledge meant that we were able to have "real" conversations about our trip and make the right decisions meaning that we had an unbelievable holiday. We can't wait to go back to Africa and when we do it will be through Travel With Jules. Jules takes a trip down memory lane on her special birthday holiday to Lake Malawi ... Including boats, beaches and baboons in the shower! Why you should take your family to Malawi! If you thought you could never find things to occupy your children on a remote African island with no wi-fi we will show you how! Anniversary safari in Zambia …. I felt like the King of Scotland again! From the night I arrived, being welcomed back to Hemingways in Nairobi (I felt like the King of Scotland again! ), to the day I left, everything was a complete delight. Elephant Watch Camp is lovely ... While 'sleeping out' with the warriors I spent the night listening to cattle munching around my tent!! Where do we get off the plane?! If you have been hesitant about taking a safari holiday, do it now, and book with Jules! Heading up as the sun rose over the Masai Mara and gliding along in a balloon was certainly an experience not to be forgotten.. The Smell of Africa …. Naomi contacted us about travelling solo to somewhere long haul with a keen interest in photography ... here she tells us about the impact that Zambia has had on her senses ... she will be going back! Mountains and Mammals in Ethiopia! Hera and Taco had an amazing time and trekked in the Simien Mountains, visited the rock hewn churches of Lalibela before heading down the Rift Valley to the Bale Mountains. Here are some of their beautiful photographs! Four of Jules' former Zoo colleagues wanted a specialist birding safari to Tanzania - here is their account of some of the amazing new species they saw! Orangs and Sarongs … travellers tales from Borneo! Some of our favourite clients Ian and Cathy Furbank recently visited relatives in Kuala Lumpur and asked us to arrange an adventure to Borneo ... here is Ian's hilarious take on the events of their travels! My Wild Life With Elephants! Jules reflects on life in a safari camp surrounded by elephants, watching 'This Wild Life' with Saba Douglas-Hamilton, currently showing on BBC TV. Looking a Mountain Gorilla in the eye is a life changing 'bucket list' experience ... read about Jules' adventures in the Virunga Mountains of Rwanda here! If sharing breakfast with a Giraffe is your thing ..
Take a holiday to Giraffe Manor in Kenya and share your breakfast with these gorgeous animals! Have you ever marvelled at the bird migrations which cross continents? Here is a story about two swallows who would follow their 'home' anywhere! Swim with Whale Sharks in Tanzania this winter! Spend time around Mafia Island with Whale Sharks this winter with added flight connections! Book now for Migration Season 2019! The mass herds of wildebeest and zebra have just arrived into Kenya's Masai Mara at the river crossings - Small camps fill up fast so book now for next year! Tune in next week to see Zambia showcased on UK TV! From 25th June for 10 days Zambia will feature on ITV television - showcasing everything this amazing safari destination has to offer! Great news for African conservation! This breaking news was announced 27 December during BBC Radio 4's “Today” Programme, which Prince Harry guest edited. This new direct flight service linking London and Kigali, Rwanda opens up a wide range of safaris & primate trekking holidays. Rwanda authorities have announced the increase in the price of Gorilla Permits from US$ 750 to US $1,500 for all visitors effective immediately. Giraffe Manor is on TV tonight! A huge favourite with our clients, Giraffe Manor in Kenya is on BBC2 tonight Monday 10 April 2017 - contact us for your own holiday to get up close and personal with the residents of Giraffe Manor!! Watch TV this weekend for a one off documentary featuring Virginia McKenna who played Joy Adamson in the 1966 film Born Free & book a safari to follow in her footsteps! British Airways launches longest route – new flight to Chile! From January 2017, British Airways will fly direct to Santiago, capital of Chile four times a week on it's longest non stop route using the carriers new Dreamliner aircraft. Uganda introduces e-visas from June - travel news from Africa. New online visa system, apply in advance of travel online. Hopefully, this proposal will be implemented soon! Great news for combining the two countries for safari and beach holidays. Updated list of countries required to provide proof of Yellow Fever Vaccination for entry into Kenya. Travel news from Africa. Celebrate the Chinese New Year with us! It's the year of the Monkey! What Chinese New Year character are you? Latest news from the tourism sector in Malawi - visit Malawi Tourism at Destinations Travel Show Olympia next week and arrange to speak to Jules there! 3 March is World Wildlife Day - book a safari to Africa with us and help support wildlife and conservation projects. We make sure your money is spent wisely! Jules used to work for Naturetrek, a specialist Natural History & Wildlife tour operator and is very excited to offer their fabulous portfolio of holidays to our clients! A win for Africa’s Lions! Great news from the US Fish and Wildlife Department to protect Africa's Lions following the recent shooting of Cecil the Lion. Marsh Pride Lions new arrivals in the Mara! Great news for the Marsh Pride in Kenya's Masai Mara following the tragic events recently - new cubs seen near Sentinel Camp! Kenya Safaris are top of the world! 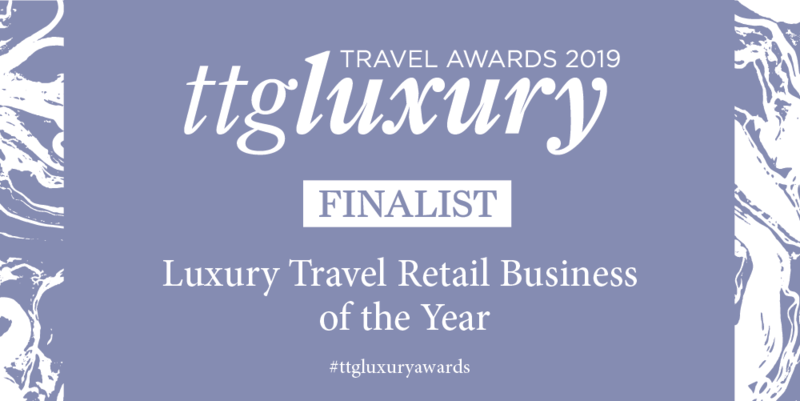 Lovely to see our friends in Kenya win this fabulous award - good news for Kenya tourism after several years of negative press! Changes to entry requirements for Madagascar in 2016 - new visa and tourism tax rules. Follow BBC’s ‘The Hunt’ on your own wildlife adventure! Let us create your own dream wildlife holiday to see the animals filmed in this dramatic BBC series! Big Cats of the Mara and Wild Dogs of Zambia are our favourites!